It is the time to say “Rang Barse” with “gulal” in hands for every Indian. The festival of colour is back with all its merriment and fun. Holi is one of the most popular and major festivals of India. In this Land of Festival this particular occasion is celebrated normally during the month of Phalgun according to the Indian colour. During springtime nature decks up in new form with fresh new leaves and blossoms. Eventually this Festival of Colour too is celebrated during this spring season. Colours seem to blend well with natural colours. Colours of happiness is spread everywhere almost in every corner of India. As we catch a glimpse of the past we will see that the beginning of the celebration dates back to centuries ago. The word “Holi” is being derived from the word Holika. As per the legend says demon king Hiranyakashipu made an attempt to burn his son Prahlad as he was the worshipper of Lord Vishnu. He ordered the people of his kingdom to worship him as a God. But his son was an exceptional. Hiranyakashipu summoned her sister to sit in the fire with Prahlad in her lap. She was blessed with a charm that prevented her from getting burned as she entered into fire. But both the brother and sister dup had forgotten the fact that she could save herself only if she was alone. As a consequence Holika was burnt to death and Prahlad was saved as he was chanting the name of Lord Vishnu. Many other mythology and stories are also being discussed as the reason of Holi celebration. Like RaasLeela performed by Lord Krishna along with his devotees in Vrindavan also signifies celebration of Holi. This festival defines the fact that joy and happiness are also part of the spirituality. Holi is not only one of the prime Indian festivals but it is also the most vibrant occasion also. It is celebrated not only all over India but is also celebrated across the globe also. In rural India it is more popular as Basant Utsav. This festival is celebrated all through India with immense enthusiasm. Turn your heads round and the only thing that grabs your attention is “Colours”. Pichkaris, Gulal, Abeer are the main ingredients of this colourful festival. For this particular day everyone comes out of their black and white life adding colours of happiness and love in their lives. On this particular day people even bond up with their long lasting enemy also. This day is beyond any form of enmity. 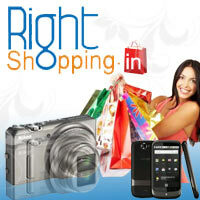 RightShopping.in wishes all its customers “Happy Holi” with lots of colours and gifts. Spread happiness all around with the touch of online services. Holi is one of the colorful and vibrant festivals of India. Most of the websites offer terrific deals at this time of year. Holi is biggest festival of india.This festival is celebrated all through India with immense enthusiasm. Turn your heads round and the only thing that grabs your attention is “Colours”. Pichkaris, Gulal, Abeer are the main ingredients of this colourful festival..
Great festival of Hindu is holi. Every people celebrate in this occasion and enjoy it..